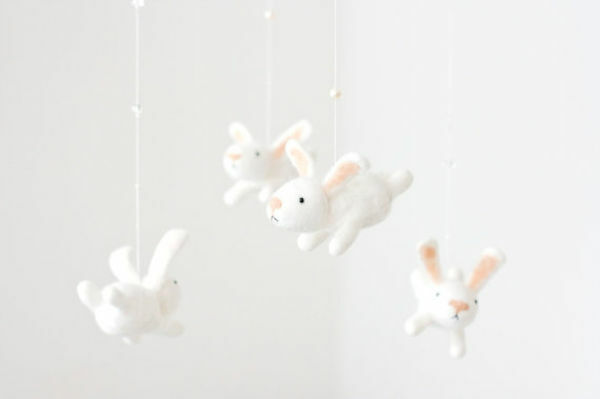 These baby mobiles are so adorable, they’re sure to lull any little one peacefully to sleep. Prepare for a cuteness overload. Felting has certainly undergone quite the resurgence, and why not? 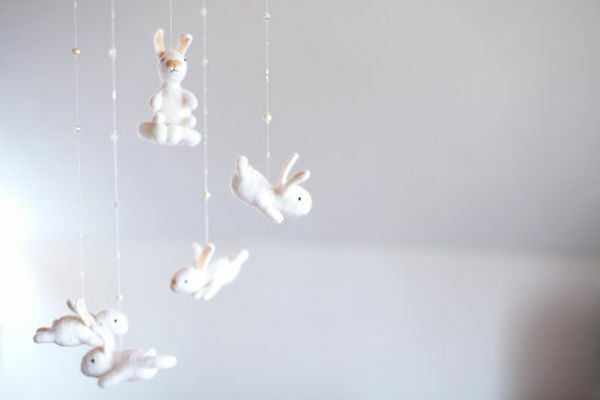 Felt is an incredible artistic medium that can be used to create anything from clothing, to beautiful children’s décor like these handmade nursery mobiles. 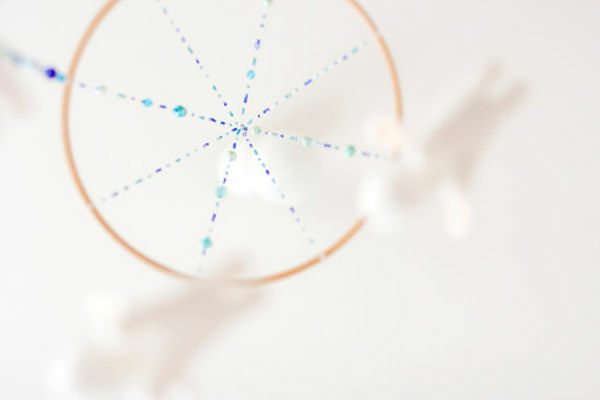 These mobiles are made by Gabrielė, a musicology student from Lithuania, who is studying in Germany. This young artisan creates these creatures for her Etsy store with so much patience that each and every character hanging from the mobile has a distinct personality and look. 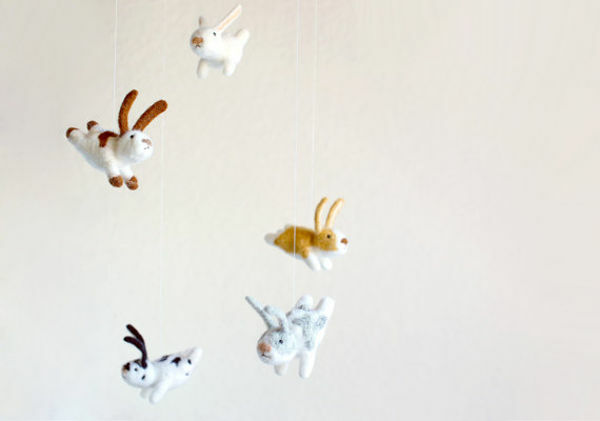 The Mistr Sandman bunny mobiles are adorned with little rabbits hanging in a variety of poses, and range from brilliant white to all manner of bunny varieties. These mobiles are priced from $150. Mistr Sandman also creates a panda version – just as adorable and engaging. 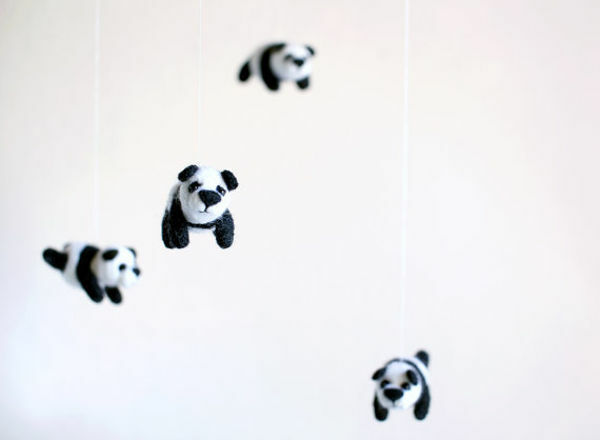 Or if you prefer a few extra bunnies or pandas, Mistr Sandman can create a custom version. The little creatures hang from string adorned with all manner of pretty things like freshwater pearls and crystals. Shipping to Australia is about $13.